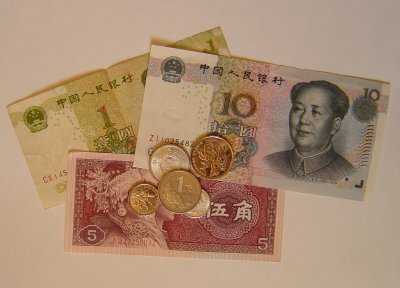 Chinese Money: where to exchange, how much to bring, can I use my ATM card? Where to change, Will my ATM card work, how much to bring? Your China Money Questions: How Much Money Should I Bring? The most frequently asked questions regarding Chinese Money have to do with how much to bring, where to exchange and are there ATM's in China. Your site is wonderful and gets better the more I read. 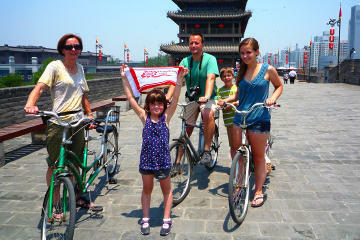 :) We have about 10-12 days for our China trip at the end of June/beginning of July. We are a family of 4 and we want to see and do as much as we can but we are also probably average spenders nothing too extravagant as far as eating, etc. Can you give me some idea of about how much money is needed for an average trip of two weeks? I know it all depends on personal spending, but for hotel we will use a credit card I am sure, but for all else I would imagine we would pay in local currency. I guess I just want to have an idea of costs of entering the zoo, a boat ride, or a museum. Are things comparable to the United States as far as cost? Thanks again so much for your wealth of information and your wisdom. How much money to bring? Two things to consider: First China is considerably cheaper than the U.S., Shanghai is probably the most expensive city. Second, cash rules in China. Where most places in the U.S. would take credit cards, in China you will need to pay cash. More about Credit Cards below. Boat rides, entrance fees, etc, are reasonable, allow on average $5 each per activity, some will be less, some a bit more. For example, entrance to the Beijing Zoo was about US$2, to the Forbidden City US$8, the Terracotta Warriors were a bit more US$12, the boat ride to the Summer Palace less than a dollar, renting bikes at the Xian Wall about $2 each. For food, with US$3 - $4 per person you will eat really well, with US $8 per meal you will eat like kings, except in Shanghai (and some of the larger cities), there is everything here, like in California, there is a great variety of food... and prices. Regarding transportation, taxis are inexpensive, metro and buses even more so. A single ride in the Shanghai Metro for example is only a few cents (Rmb3-8) and in terms of infrastructure, this is one area that keeps improving by leaps and bounds with new metro lines and high-speed train lines being built every year. 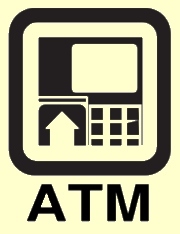 The easiest answer to how much money to bring is, there are ATM's everywhere!, specially at airports and train stations, so there is no need to bring too much cash. ATM machines or BankAutomats are everywhere in China. 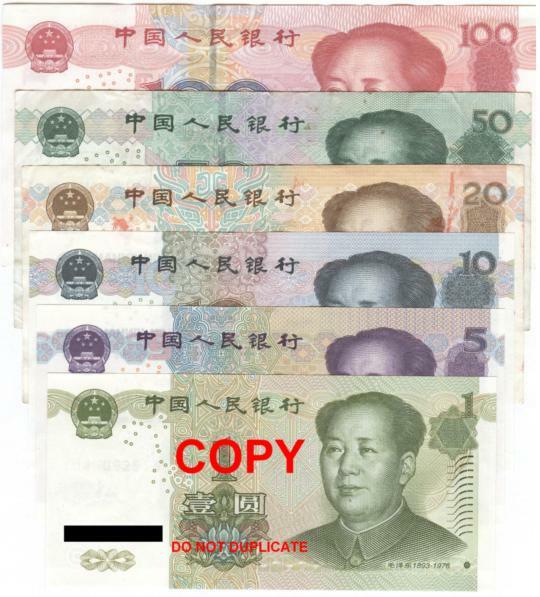 You will definitely find them at the Airport and Train Stations, so you can get your Yuan as soon as you land. You will see the familiar networks like Visa, Master Card, Cirrus, Plus, etc. used by most international financial institutions. Instructions will be available in English which makes it easy, and the process is exactly the same as at home. The amount that can be withdrawn depends on the network and your own bank limit, normally about the equivalent of US 400, ¥2,500. Banks will normally levy a service charge, it can be a fixed minimum like US$3 while some banks charge a percentage of the amount withdrawn. You can inquire at your bank. It is well worth not having to carry big quantities of cash on hand. It has also been our experience that the exchange rate at the ATM machine is not any worst than changing cash at the money changers, including the fees, so we use the ATM whenever we need to. It doesn't matter where you change money in China as the exchange rate is highly regulated and you get pretty much the same rate throughout, including at the Airport. It used to be that you would get a slightly better exchange rate when changing Traveler Checks but this is no longer true. In fact, hotels and even some banks won't take them, so it's better to stick with cash. Credit Cards are not yet widely accepted in China other than at hotels and international restaurants, and the larger shopping centers. You will need cash for just about everything else: taxis, small shops and restaurants, ticket counters, etc. If you plan on using your credit card, be sure to alert the bank that issued your card back home and let them know you will be traveling abroad and the dates of your trip to prevent them from blocking your account when they see any "foreign transactions" which could be suspicious or "outside of normal range of activity"